Concession Trailer Rolls into Bradley! Check out all the details of the new concession trailer in this week’s edition of The Coast Star, which hit Bradley Beach last week, and is now at the oceanfront at Brinley Avenue. The trailer, purchased at $60,000, is already leased for $33,000, for the first year of a five-year lease. Comments on the shiny new trailer are welcome-please post!! A Pirates’ Life For Them at BBES! 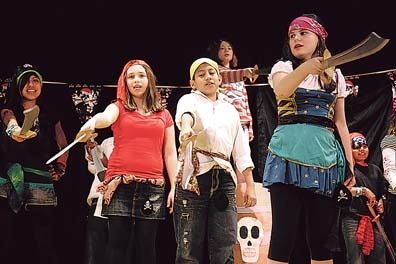 The Bradley Beach Players recently presented a rollicking rendition of Pirates! The Musical, at the school. The stage was transformed into a ship, and the students really set sail with the play!! After an $8 million municipal budget was introduced in town recently, it will be further discussed at tonight’s council meeting, at 6:30 p.m.
Also tonight, the vote will take place on increasing the time that parking meters along Ocean Avenue are in operation during the summer. If the measure passes, the meters will be in operation one more hour in the morning, and two more at night. The Bradley Beach 2011 muicipal budget is set at $8,009,651.59. This is a one-cent increase per $100 of assessed valuation of a home in town. Translation? The average home in town, valued at $525,527, will see a $54 increase this year in municipal tax. Get the full story in this week’s edition of The Coast Star, out on newsstands today. Tonight, the first of March, brings the introduction of the 2011-12 school year budget. The school got a $70,000 increase over last year’s state aid, so we’ll see if it offers some relief within the budget. The final budget will have a public hearing and adoption on March 29. Check out Thursday’s edition of The Coast Star for the complete school budget story. Here come the budgets in Bradley! It’s budget introduction time in Bradley Beach. On Tuesday, March 1, the board of ed will introduce its 2011-12 school year budget at 7 p.m. at the school. On March 1 and 3, at 6 p.m. in borough hall, there will be budget workshops, where the mayor and council meet with town employees in discussing budget needs. The municipal budget will be introduced on Tuesday, March 8, at 6:30 p.m. in borough hall. This is also a regular council meeting. Recycling relocation-how’s it going, Bradley? 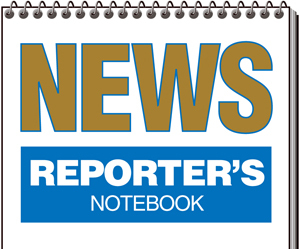 Recently, Bradley Beach closed its recycling facility at the town’s Department of Public Works yard, due to construction of a new storage building there. Though curbside pickup was not affected, those wishing to drop recyclables off at a facility must now head to the Neptune Township recycling center, Heck Avenue, there. This week I ask my Bradley friends: did this change affect you a little, a lot, or not at all?? Do you have some news? Ideas? Questions? Comments? E-mail it all to cstolzenthaler@thecoaststar.com!